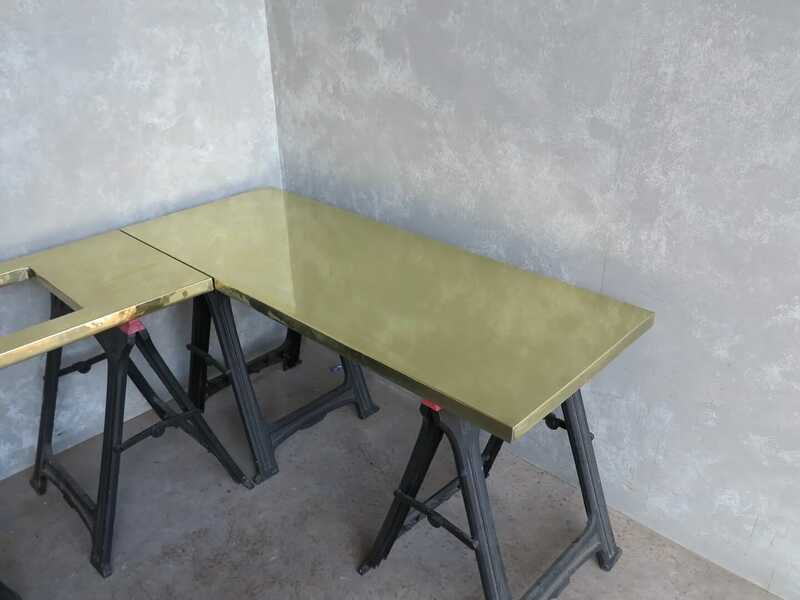 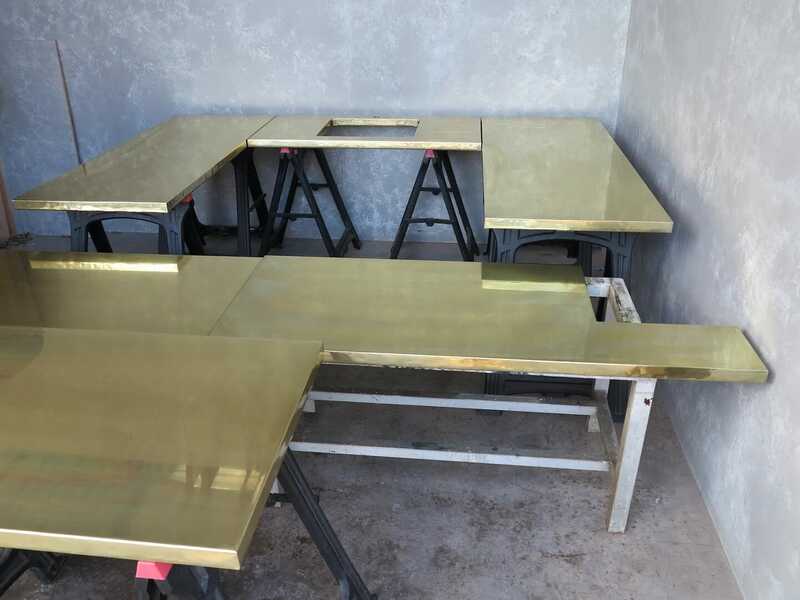 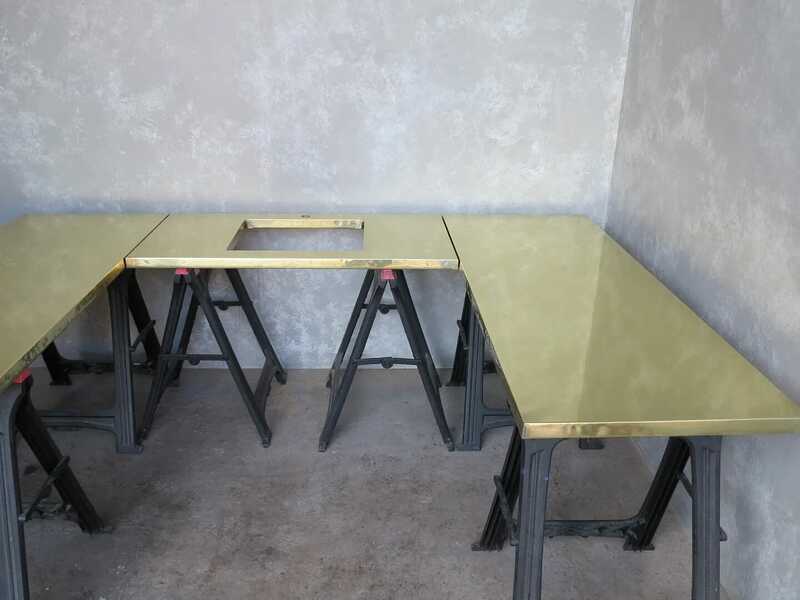 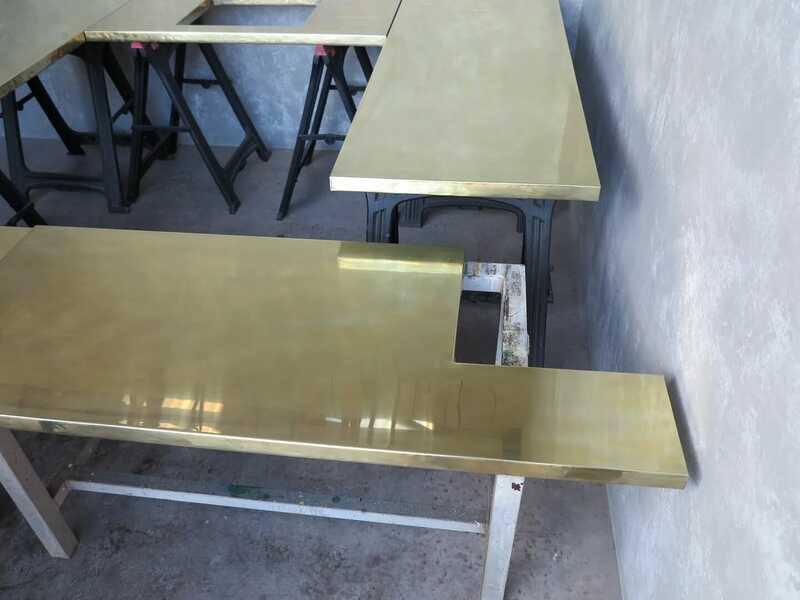 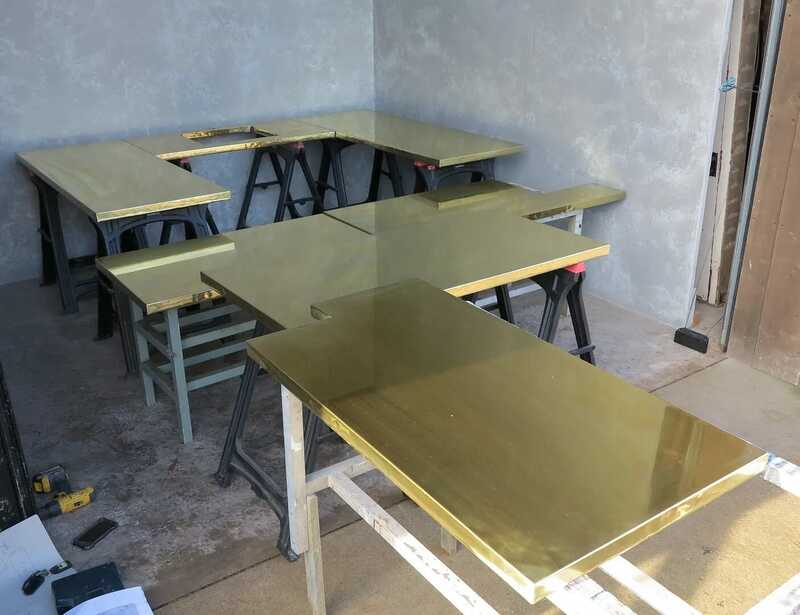 This brass worktops have the following specifications: 7 pieces, 40mm thick with sink cutout and tap hole, square corners in a natural finish. 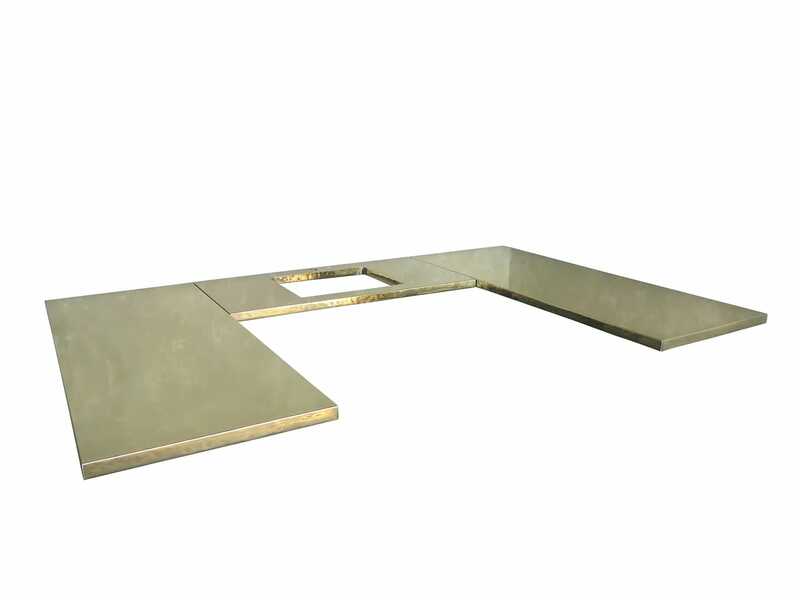 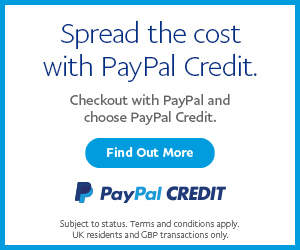 For the same price you can have the brass in an antiqued or matt finish. 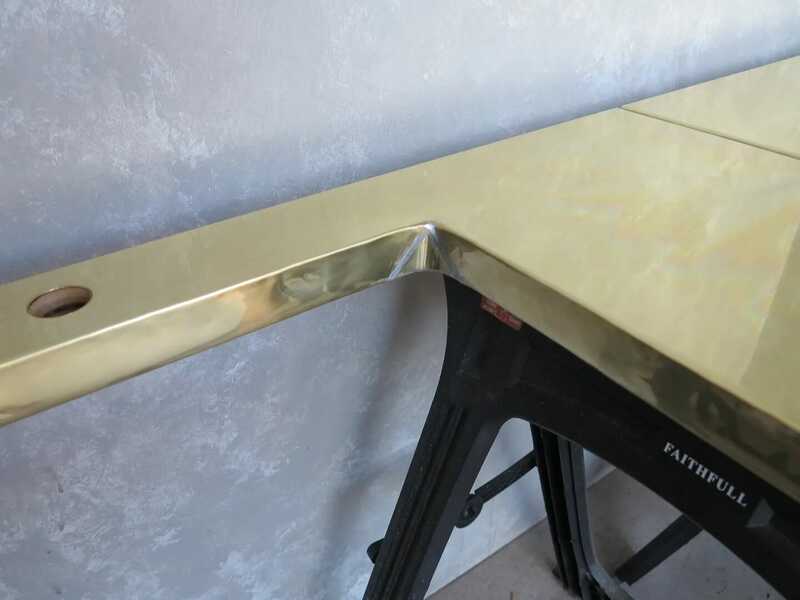 The natural finish we include some PEEK polish. 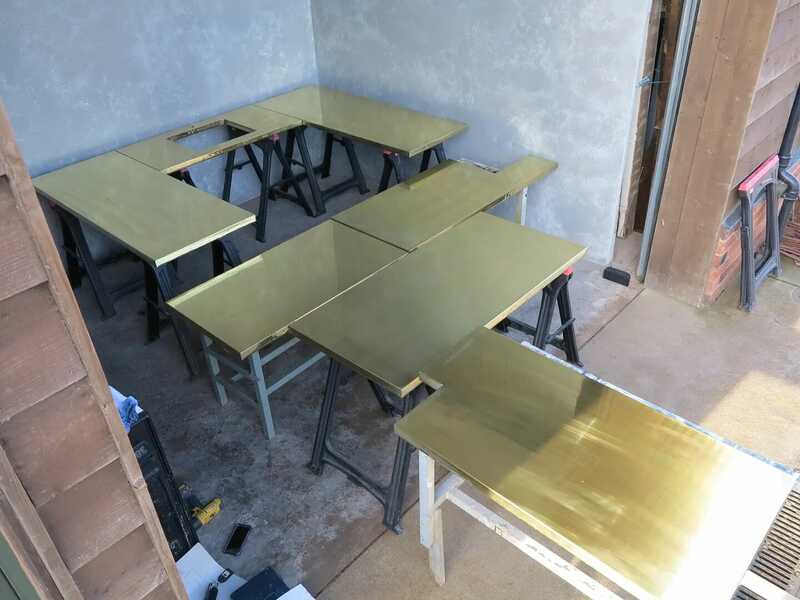 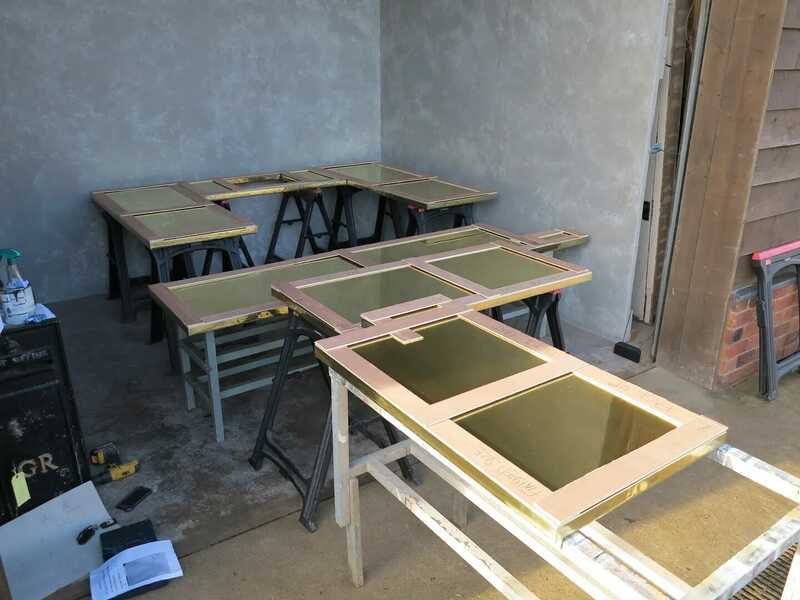 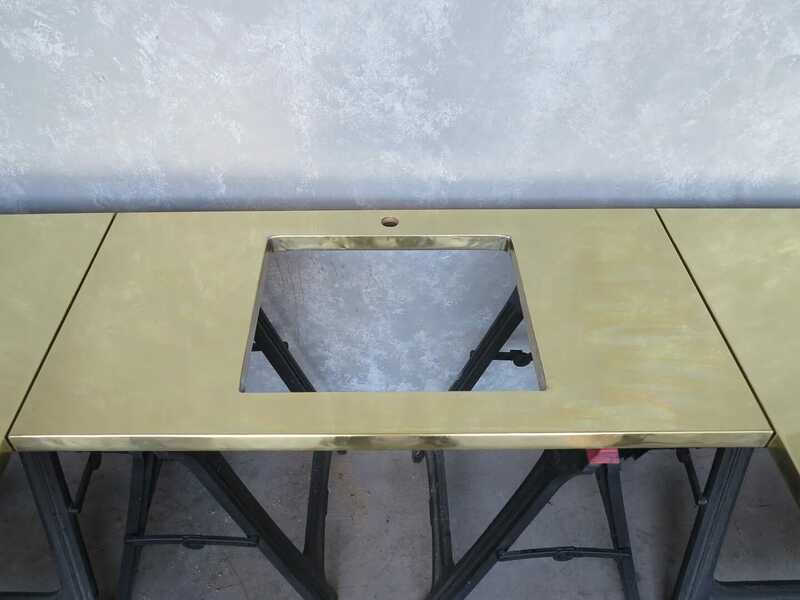 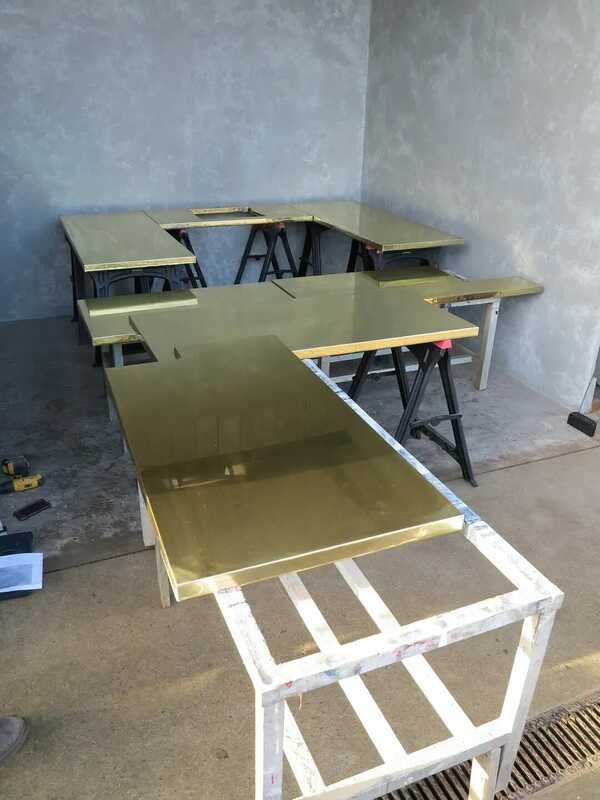 Our bespoke brass worktops are all handmade and built to your specifications here at UKAA by our experienced team of carpenters. 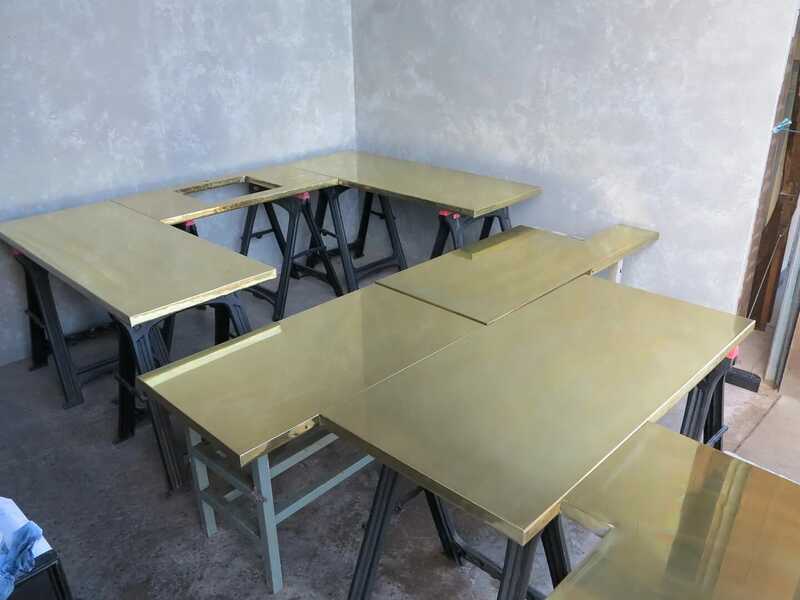 We make these from using the finest grade MDF and natural brass.